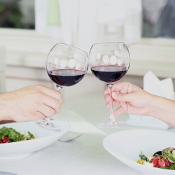 Recently a fellow contacted me on Facebook saying that when we were in university together, he’d taken me to dinner. I didn’t remember him. I did remember writing a poem after a date which could have been the dinner he mentioned. I responded, reflecting on the poem but not admitting I didn’t remember him. He replied that he hadn’t known what to think, back then, when I told him about the poem, and he started dating another girl. 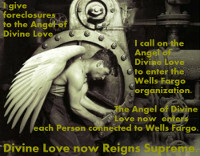 So, it looks as if a young man who inspired me fell out of my memory when his thinking and mine failed to mesh. What is a Memorable Gift? That’s easy, it’s one which stays in the mind’s eye. For instance, a fellow once gave me a dark pebble with a slice of white running across its middle that he picked up while we were walking. He said that stones like that were “wishing stones.” I had the stone until recently when a worker took it upon himself to throw it out. Up until then on many occasions it had seemed to be related to wishes coming true. So, a costly dinner may not gain access to memory while a free pebble may become unforgettable and dear. Another woman may have remembered the dinner and lost the pebble. That said, the gift ideas on this page are attractive in the way that wishes coming true are unforgettable. The trick is to tune in to the underlying wish ~ know who’s wishing for what. It’s lovely having a cuppa with a friend. Distance can be an issue, though, except you can be there in spirit. Sending your friend a tin of coffee is a good way to share a happy moment and bring memories to mind. 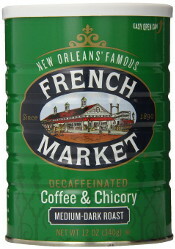 Even now I remember my friends in Santa Fe who introduced me to French Market coffee, with its chicory. In fact, when I planted chicory for its blue flowers, I kept thinking about the long ago Santa Fe friends, from back in the 60s. I can hear the Grateful Dead playing in the background as we had coffee together. Yogurt inhibits h.pylori in your stomach which helps you get more B12 from your food as well as avoid ulcers and stomach cancer. B12 helps improve memory, so this gift is truly memory making!!! Also, yogurt reduces asthma attacks and helps you feel less stressed. 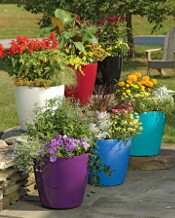 If you’re thinking of sending flowers, how about a bright, self watering container instead? One would look great on a deck, a balcony, or by the front door. The ongoing bouquet of live, fresh flowers is sure to bring you to mind often, with a smile. And, the pots have built in casters so they can be rolled from one spot to another, for the most enjoyable viewing. Hummingbird wall art is a delight on its own, but what it it actually attracts hummingbirds? They say that shepherds in ancient times wanted more than white wool. So, they put up pictures of brown sheep for the sheep to see, and sure enough, in time some sheep were born with brown wool. Whimsy can be a life saver when stress is piling it on. 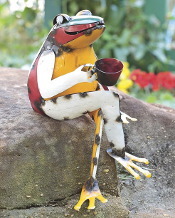 Given that studies have shown people who drink coffee are less likely to commit suicide, a whimsical garden reminder to have a cup is a fine way to outwit stress. And, what a happy reminder of the person who brought you the smile. My Polish grandfather gardened: tomatoes, kohlrabi, beans, cucumbers, corn, etc. and lots of flowers. He lived to just a few day shy of 100. I’m in my 70s now, and still grateful to him for showing me the beauty of gardening, and how healthy the food is. The following are GREAT GIFTS for anyone wanting to grow some healthy vegetables, but they’re especially great for kids. It’s super easy to grow vegetables, even if you have limited space. Containers work great for home grown nutrition. There is in fact, a lot more nutrition in home grown than in any of the RoundUp Ready crops sold at most grocery stores. The glyphosate in RoundUp is not only bad for our health, but it works to reduce the nutritional content of foods. 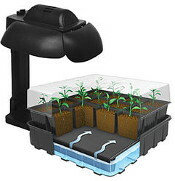 So, a great gift is this super nifty seed starting system, complete with “pots”, growing pellets, trays, greenhouse like covers and mats to make watering beautifully efficient. As an aside, when I lived in London in the 70s, this type of thing was common, as were greenhouses in back gardens. I was amazed at how efficient they were. When I returned to the US I was amazed they weren’t available here. 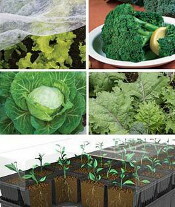 The fall vegetable growing success kit is more costly but comes with seeds. As a gift, it’s the complete deal, all you need to get started growing. But, if you’re giving it to yourself, I think it might be cost effective to order the Ultimate System above, and the seeds separately. Though, it might be that the seeds selected for the kit are the ones most likely to be successful. I’m certainly thinking of buying a kit for me. If the person you’re giving this to doesn’t have a sunny window, this tabletop kit with light is great. Some reviewers didn’t like putting together the light, so if you help your loved one put it together, the gift will be even more memorable. I’ve used grow lights for seed starting, and they’re Wonderful, though they don’t seem to work to get tomatoes to produce over winter. Give someone warmth, and you’ll be a hero. Especially if the cost of running it is 70% less than running other room heaters. 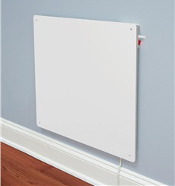 The Eco Friendly, slim line heater is wall mounted and uses only 400 watts to heat a 10′ x 12′ room. Most electric heaters use 1500 watts, some use as much as 6,000 watts. 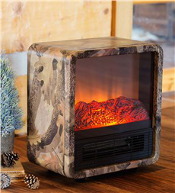 The Camo Heater Cube gives more heating oomph than the Eco Friendly Heater while using only 750 watts on the low setting. One great asset is that this little heater doesn’t take up much space even though it does a stunning job. Incidentally, when my solar system was new I kept a record of the temperature in different rooms. Primarily I wanted to know where my plants would be happiest. It turned out that any room I was in, was about 10* warmer. And, it I became very worried about something my body temperature fell, and with it the temperature in the room. That said, something of beauty can shield us from worry. We look at it, and feel happy, rather than worried. So, a quilt makes a warm gift in an obvious way, and a more subtle way. I was torn between picturing the Shannon quilt using 9 different plaids, the Sea Glass quilt which has a wonderfully fresh look, and the Ansley Folk Art quilt… which ended up winning my heart. 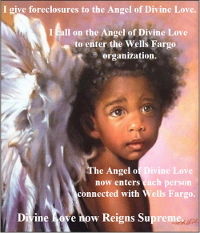 For someone brilliantly alive and young and warm a different kind of gift is memorable. 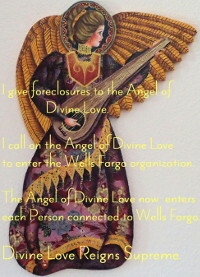 I remember years ago working at Rancho Encantado, a guest ranch in Tesuque, near Santa Fe. Lots of well known people stayed there. For instance I got to check in Gregory Peck and Mrs. Maytag. Yes, that’s the Maytag. I remember Vincent Price telling me he had a sweater like mine… I was protesting extreme wealth at the time and wearing a sweater with holes in it to work at the front desk. What a lovely man he was to say that! One of the things I loved about my job was the parade of fashion and jewelry at night when people from all over came to enjoy the dining room and it’s delights. While checking coats I was able to talk with people who in other circumstances would not have been talking with me. I liked complimenting people because it made them smile, and sometimes it led to lovely stories. For instance, jewelry items tended to be linked with memories. 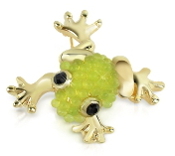 I remember a woman who was wearing a dragonfly pin. When I remarked on it she said she’d been given it decades ago and had loved it ever since she unwrapped it. She smiled softly as she touched it. I had a pair of Italian leather shoes that I loved so much. I can see them as clearly as if I had them now rather than when I was in high school. I think I would love an Italian handbag as much as I loved those shoes, and so I wish. Similarly, but different, in university I took my guitar to a student leader conference to pass my time in solitude, away from the hundreds who were more social than me. But, organizers spied my guitar and insisted I play and sing to the entire group. They of course regretted their decision once I did as they said. 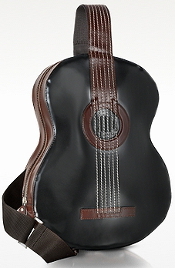 With that memory in mind, I love this guitar backpack, complete with MP3 speaker connection. Traveling and a beautiful, solid handbag seem to go together. 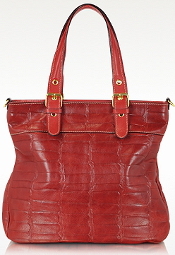 My health makes traveling seem out of the question, except when I look at tote handbags and imagine myself in Crete. I can almost taste the retsina. I truly believe health is related to thinking. The more worries, the more we decline. But, give us something lovely to think about and a smile returns along with renewed zest for life. Years ago, when I was a child, we went mushroom hunting with my Polish grandfather. He knew all the mushrooms and loved cooking his finds. Even with a mushroom handbook I don’t trust myself to go mushroom picking on my own. Every so often I have a portobello like, edible mushroom spring up in my yard. I love it. 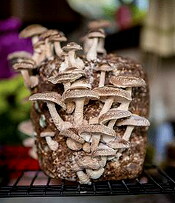 I also love growing mushrooms in the kitchen.